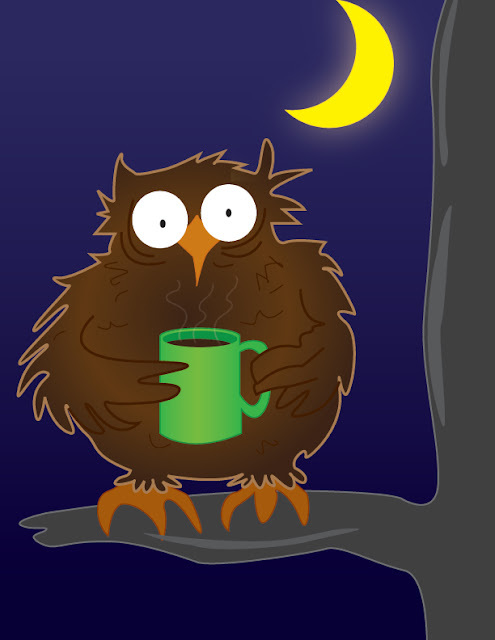 I think I am a night owl. I am more work active at night than during the day. When I wake in the morning, I always feel like going back to sleep and all through the afternoon I can barely get any of my planned serious work done. It's like my brain works in restricted mode till it's late evening. If you send me an email at night, you are way more likely to get an immediate reply than if you send me email during the day. 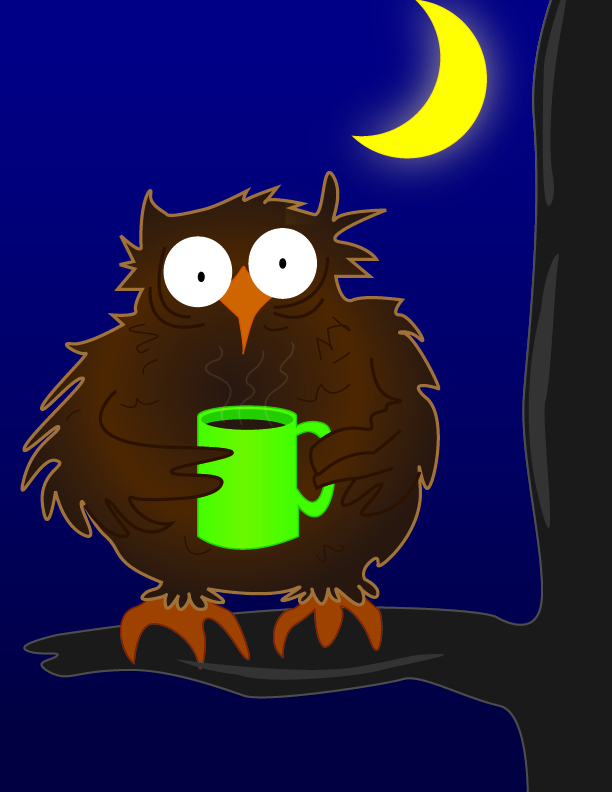 All the brain tasking client works I do, I do most of them at night. I think a couple of my clients are getting used to receiving mails like "version 1 completed", "update effected" and "please find the final version" at midnight or 1:00am. I usually end up whiling away the day reading random articles online, sleeping and waking, too lazy to cook/eat and just plain lazying around, except on days I have training class to conduct. But the instant it's 6:00pm my entire system shifts to 100% alert. I do way more between 6:00pm and 10:00pm than what I have done all that day till 6:00pm. I don't know why and before it used to bother me when I was working at a regular job. I used to feel sleepy a lot at work. I used to sleep in the bus all the way to work and sleep in the bus all the way home again only to get home and work like crazy till I force myself to sleep. Even when I was in Bayelsa for NYSC, I was known for sleeping during the day and working at night. And when I went touring the riverine communities, I can't count the number of times I have slept on a speed boat. There are days that it's worse. I suddenly get the work fever and can't force myself to sleep till its almost day break. And days that I just can't get my brain to work during the day. 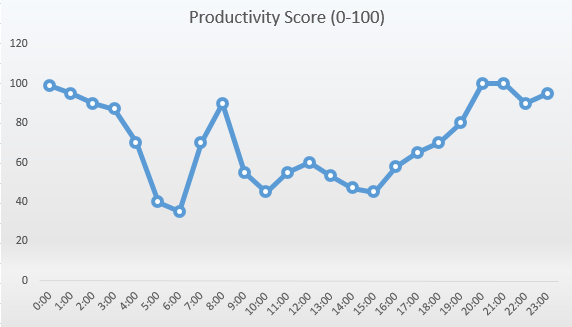 If I was to draw a chart of my productivity by hour of the day, it would look like the graph below. By the way, I did that with Excel. And if you come for our training, you'll be able to do even a better one. Just the same old geek you've always been... lol.